I've been cooking my whole life. Most of my recipes were passed down from my Mother while others were learned at the Natural Gourmet Institute for Culinary Arts School in New York City. I've been combining these two styles of cooking the past five years to cook delicious and flavorful Korean food that is also healthy. So it is with great pleasure that I invite you to join me in the kitchen. I will show you how to cook some of my favorite dishes, and provide tips and recipes along the way so you can enjoy it again at home. We will start with a tour of Namseong market to pick up ingredients for our meal. Also happens to be the neighborhood I grew up in. 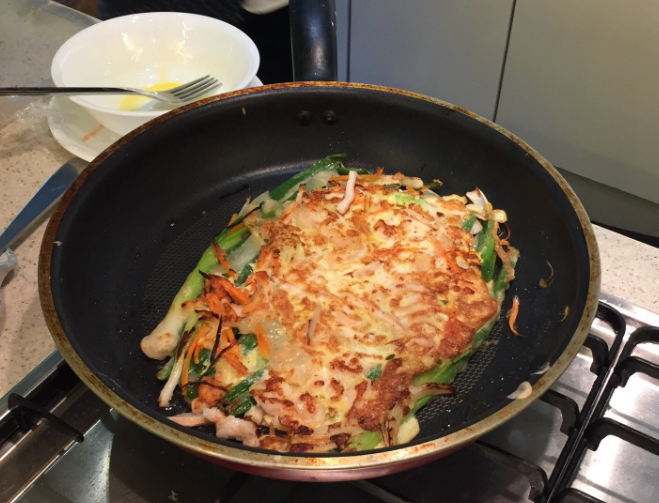 Then with our appetites growing, we'll continue on to my cooking studio where we'll prepare and cook several Korean classics such as bulgogi, japche, tofu salad, and seafood pajeon. Your tour availability will be confirmed via the email contact that you have provided. Haven’t heard from us within 24-hours? Please check your junk/SPAM email folder.